The latest priority of the business environment is focusing on the new European General Data Protection Regulation – especially knowing that non-compliance might lead to high fines. Looking further than the punitive measures, the regulation comes to cover the gaps within the local regulations of the European Union member states and it aims to encourage the free movement of the personal data by increasing trust – between companies/public bodies and data subjects. With so many businesses and services operating across borders, international consistency around data protection laws and rights is crucial both to organisations and individuals. The new GDPR replaces the Directive 95/46/EC from 1995, an important component of the European Union privacy and human rights law – on which in 1998 UK developed their more extensive Data Protection Act. We started building our compliance in Euroanswer by appointing our Data Protection Officer who represents the interface between the company and the Data Protection Authority – on one hand and on the other – between the company and the data subjects. The DPO has the role to inform & advise the management & employees (data subjects) about their obligations, to monitor the overall compliance and to provide information to the Data Protection authority. The main individual rights the GDPR is defining are: the right to be informed, the right of access, the right to rectification, the right to erasure (from the famous “Right to be forgotten set by UK DPA”), the right to restriction of processing, the right to data portability, the right not to be subject to automated decision-making (including profiling). The organisations need to ensure that all these legal rights are protected – by successfully combining effective security measures and specific frameworks and procedures. An important part of the compliance is to create the awareness within the organisation as the employee error continues to be the highest risk. 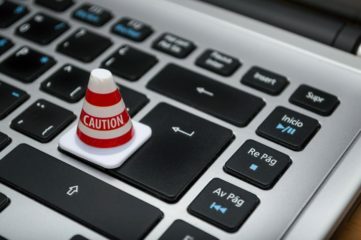 The awareness programs should include clarifications related to risks but they need to also offer means for the employees to be able to identify a possible breach and at the same time to encourage them to report it (a big percentage of those reporting the issues is represented by the customers). Art.29 WP is a group made up of all the national regulators from each country in the European Union, which has 28 members (including the U.K. until Brexit) and which will become the European Data Protection Board on May 25. The group provides independent advice to the European Commission on all things related to data protection. Data protection laws are complex, and each market within the EU has different dynamics, so the group aims to harmonize and streamline the implementation of the law. On the above-mentioned site, we found useful templates, case studies, articles explaining bits of the Regulation. Worth mentioning that when the new board will officially start its new role, will also have the legal power to make final decisions on issues such as disputes within the group, should regulators from different countries disagree with each other. A positive aspect when implementing GDPR is that, while vital processes need to be set in place, in terms of papers – there is one single mandatory document that needs to be developed by the organisations – the Register of Data Processing. Every organisation, regardless of its size, that keeps data on its personnel, clients and/or suppliers or other persons will have to maintain an updated record of its processing activities. At Euroanswer, being a medium-sized company, the implementation was based on a Data Mapping to determine what personal data we handle and which are the processing flows across the departments and afterwards we ran an Impact Assessment analysis to determine the important areas and the priorities, which were translated in steps of the implementation. Euroanswer is committed to being compliant to the EU General Data Protection Regulation and to data privacy and security compliance globally. We respect individual privacy and we value the confidence of our customers, employees, business partners and suppliers. We collect, use and disclose Personal Data in a manner consistent with the requirements of the General Data Protection Regulation. The use of Personal Data collected throughout our services shall be limited. Euroanswer will collect only Personal Data which is relevant for the purposes for which it is to be used. Euroanswer will ensure that Personal Data is accurate, relevant and limited to its intended use. The processing of the data will be based on data subjects’ consent, obtained prior to the processing. As Euroanswer is a data processor for its customers and data controller for Personal Data we collect through the recruitment activities, subscriptions to our newsletter and requests for information via the website, e-mail or phone, we have a wide focus on protecting the Personal Data and information confidentiality that we are processing, and we have taken all the reasonable steps to identify and protect the information assets within the organization with the purpose to avoid destruction, improper disclosure, improper editing or unauthorized use of any personal data or information relating to our customers, employees, suppliers, business partners, strategy, management and other related concepts. You are in the control of the information you provide to Euroanswer and you have choices about the data we collect. When you are asked to provide Personal Data, you may decline. You can also specify the type of data that you entitle us to keep from you and the timeline, we will always respect your requests. Upon request, Euroanswer will grant individuals reasonable access to Personal Data that it holds about them. In addition, Euroanswer will take reasonable steps to ensure the capability for the individuals to correct, amend, delete personal data that is inaccurate or incomplete. Euroanswer understands the importance of building the right awareness amongst the teams in order to diminish risks of human error, theft, fraud and misuse. Euroanswer’s efforts include training employees to implement data protection & security policies and regular awareness trainings for the entire staff. Euroanswer employees’ obligations include written confidentiality agreements and compliance with company policies concerning protection of confidential information. Euroanswer has appointed a Data Protection Officer and an intervention team who act as point of contact for any concerns the employees might have related to a possible Personal Data breach. The team promptly evaluates and responds to incidents that create suspicions of unauthorized handling of data. If Euroanswer determines that your data has been misappropriated (including by a Euroanswer employee) or otherwise wrongly acquired by a third party, Euroanswer will promptly report such misappropriation or acquisition to you. Euroanswer will conduct annual compliance audits of its relevant privacy practices to verify adherence to this statement. The audit will be conducted under the direction of the Data Protection Officer. The Data Protection Officer is always available to respond to any concern addressed from outside the company and is constantly monitoring the overall compliance of the company to the EU General Data Protection Regulation and to data privacy and security compliance globally. Any employee that the Company determines is in violation of this privacy statement will be subject to disciplinary action up to and including termination of employment. Any entity or Third Party that violates this privacy statement shall be in material breach of all agreements with Euroanswer and shall defend and indemnify Euroanswer from claims related to such violations. Communication. We use data we collect to deliver and personalize our communication with you. Additionally, you can sign up for email subscriptions and choose whether you wish to receive newsletters from Euroanswer by email. Recruitment. Should you interact with our recruitment team, we may ask for certain data, including educational and employment background & contact information. You also may choose to provide Euroanswer additional information, such as your CV, letter of intent or transcripts; employment references and related information; compensation expectations. We use data we collect to communicate with you, to manage Euroanswer’s recruiting and hiring processes, and for compliance with corporate governance and legal and regulatory requirements. If you are hired, the information may be used in connection with employment and corporate management. The Personal Data provided to the recruitment team will only be used for the recruiting process. Based on your approval we may keep the data for future opportunities in our company. Candidates can ask for deletion of their data at any time, if they don’t wish to keep up their application by notifying their recruiter or contacting the Data Protection Officer of Euroanswer. In addition, Euroanswer may collect information from third parties, for example, in connection with a background or employment check and/or an employment reference. We share your Personal Data with your consent and as necessary to complete any transaction you have requested or authorized. In addition, we might share Personal Data among Euroanswer-controlled affiliates. We also share Personal Data with suppliers or partners working on our behalf for the purposes described in this statement. In such cases, these companies must adhere to our data privacy and security requirements and are not allowed to use Personal Data they receive from us for any other purpose. When we transfer Personal Data from the European Area to other countries, we use a variety of legal mechanisms, including contracts, to help ensure your rights and protections travel with your data. We take steps to ensure that the data we collect under this privacy statement is processed according to the provisions of this statement and the requirements of applicable law wherever the data is located. Euroanswer retains Personal Data for as long as necessary to provide the contracted services and fulfill the transactions you have requested, or for other essential purposes such as complying with our legal obligations, resolving disputes and enforcing our agreements. When Personal Data is deleted, it is removed from live systems, but may remain in a backup format for up to 6 months. Data, whether in live or backup format, will be protected following precise Security mechanisms. We will update this privacy statement when necessary to reflect customer feedback and changes in our services. When we post changes to this statement, we will revise the “last updated” date at the top of the statement. If there are material changes to the statement or in how Euroanswer will use your Personal Data, we will notify you either by obviously posting a notice of such changes before they take effect or by directly sending you a notification. We encourage you to periodically review this privacy statement to learn how Euroanswer is protecting your information. Individuals who subscribe to e-mail lists via our website will receive periodic updates from Euroanswer by e-mail. You may opt out of receiving future information via e-mail by using the unsubscribe procedure specified in the e-mail message.